The following data are as of end 2011. Two (2) Malaysia’s pension funds namely Employees Provident Funds (EPF) and Kumpulan Wang Persaraan (KWAP) listed in top 300 world’s largest pension funds. EPF drop 1 spot from number 9 in 2011 to number 10 in 2012 with total assets grew from $146 billion to $154 billion. 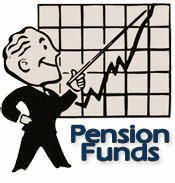 KWAP, Malaysian second largest pension fund is at number 130 up to nine spots from 139 in 2011. Total assets grow from $22 billion to $25 billion. The table below is the full top 300 World’s Largest Pension Funds for 2012. In it’s own currency I assume?